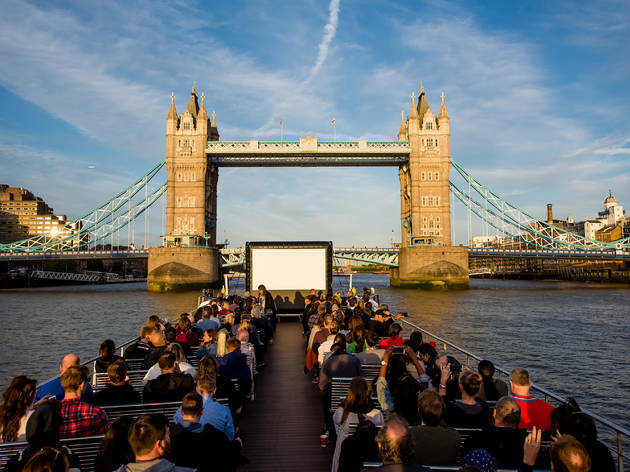 Can you think of a more romantic night in London this summer than watching a movie under the stars on the top deck of a boat after a sunset cruise through the city? Movies on the River runs five nights a week this summer, every Tuesday to Saturday. You board a boat at Tower Pier for a cruise through the heart of London. Once it gets dark, the boat turns into a cinema as everyone settles down for a film on the open-air top deck. Plenty of the films at Movies on the River this summer have romantic appeal, from ‘The Shape of Water’ to ‘Dirty Dancing’, but we’re singling out these five as the most unmissable romances showing at London’s most unique outdoor cinema. Head back to 1950s America with the ultimate summery high-school romance. ’Grease’ celebrates its fortieth birthday in 2018. John Travolta and Olivia Newton-John play high-school kids from different sides of the tracks – but the songs are equal stars in this movie. Here's looking at you, kid. Humphrey Bogart and Ingrid Bergman star in the wartime film often voted the most romantic movie ever made. He’s an ex-pat American who owns a bar in the Moroccan city. She’s the ex-lover who walks into the joint one night. It never fails to hit the spot. It’s the role that carved Audrey Hepburn’s image forever: Holly Golightly, the New York socialite who falls for her new neighbour, a writer called Paul Varjak (George Peppard). The film’s signature song, 'Moon River', is tailor-made for a night-time screening on water. This sunlit romance stars Armie Hammer and Timothée Chalamet as new friends who come to mean much more to each other to the sumptuous backdrop of northern Italy in the 1980s. Ryan Gosling and Emma Stone star in this modern-day musical about an aspiring actress and musician who meet and fall in love in Los Angeles. You’ll be humming its melancholy tunes for weeks afterwards. Movies on the River runs five nights a week until Saturday August 18. The boat leaves Tower Pier at 8pm every night (7.30pm from August). Explore even more romantic movies (plus comedies, dramas and more) all playing at Movies on the River – and buy tickets for every screening.